It was once said that if some new trend starts in California then it will eventually sweep the nation. I can safely say that if some new extreme right wing nutcase legislation should begin in Arizona then it will eventually end up in other states. 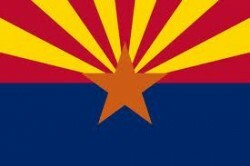 Now Arizona has enacted a new “birther” law. This law demands that a presidential candidate must be certified by their party and officials that they are U.S. citizens. If the people and candidate are found to have lied about the candidate’s citizenship status then they are disqualified from running in Arizona and those who “lied” can be arrested. A previous “birther” bill did not pass in Arizona because it required a certificate of baptism or circumcision. This contentious requirement was dropped, but if you look at the present law there is no major difference. It still requires that a presidential candidate “prove” they are U.S. citizens born and raised in the United States. As we all know, the U.S. Constitution clearly states that only a U.S. citizen born and raised in the United States is eligible to become president. The law is clearly aimed at current U.S. President Barack Obama. Even though it has been pretty much discredited, there are still some people—many with extreme right wing viewpoints—who believe that Obama was born in Kenya and not in Hawaii. Despite evidence produced that he was indeed born and raised in Hawaii, this idea he is not a “native born American” persists among some truly lunatic people. And sadly these loonies seem to dominate the Arizona state legislature and the governor’s office. The whole point of this law, and it is a very dangerous point, is that it is to keep Barack Obama off the ballot for the 2012 presidential election in Arizona. This should not be happening. The loonies who run Arizona are saying that Barack Obama is “not a legitimate candidate” even though all evidence shows he was born and raised in the United States, has been in public office for years, and is legitimately President of the United States. It never ceases to amaze me those people who would deny reality. But this law is far more dangerous than just having been passed over one man. This law can be used against any opponent . The law can be used by state authorities against any African American, any Latino, any Asian American, any Native American, and against anyone whose political viewpoints are deemed “unacceptable” to those running for the presidency. Worse, if one state is allowed to pass such a law that questions a person’s birth status in this country than other states will do the same thing. This way the more states that do this the more means that can be used to annul presidential elections and the will of the people. This type of legislation is in fact very, very dangerous and any and all efforts must be used to block it from going any further than Arizona.